Toss the rhubarb and sugar together in a bowl. Heat the oven to 350°F. Grease an 8 inch square cake pan. Beat the butter and sugar together in a bowl until light and fluffy. Add the egg and vanilla and beat well. Stir in the flour. Press the mixture into the bottom of the prepared pan. Distribute rhubarb over the top. For the topping, add sugar, flour, and butter to the bowl of a food processor and pulse until butter is incorporated. Add the cold water and pulse just until mixture begins to clump together. 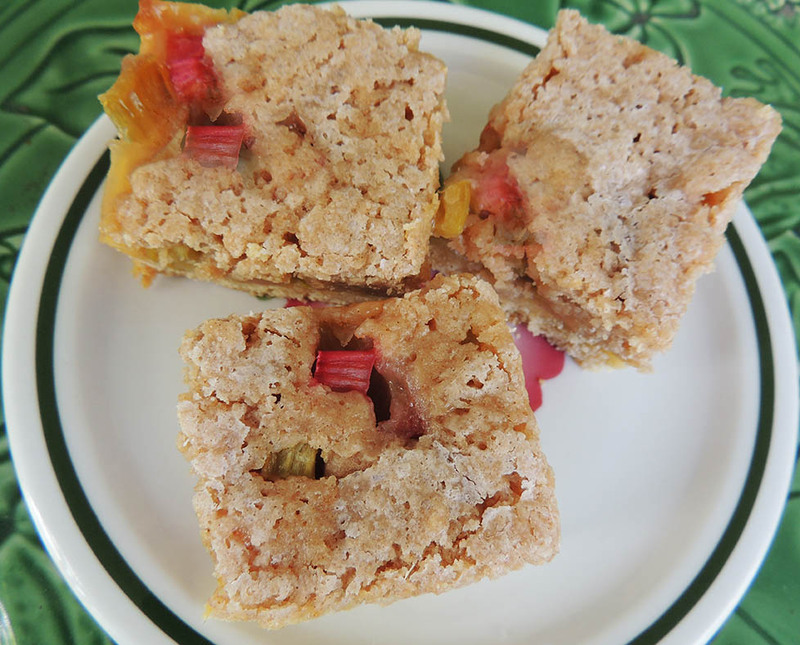 Sprinkle evenly over the rhubarb and bake for 40-45 minutes until golden. Let cool 10 minutes before slicing.